With a minimum order quantity of one box (just 36 rolls) of custom printed adhesive tape it really is a small outlay to give your business the professional edge. Just 8 rolls minimum order quantity for custom printed barrier tape (event tape, crowd control, logo tape). We offer our customers flexibility, quality, superb prices and a first class service which we guarantee to be unbeaten when purchasing printed tape products. 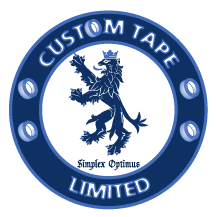 If you are looking to improve and promote your company image and also seal your boxes and cartons then look no further than Custom Tape Limited we can service your printed tape requirements. 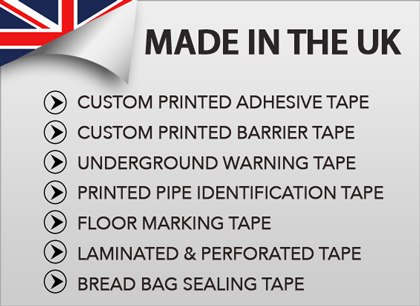 https://bagnecksealingtape.co.uk These are areas we specialize in and are fast becoming the UK’s leader in the design, manufacture and supply of printed tape. With our in house production and design facility we control all aspects of order fulfillment from the placing of the order to delivery of your custom printed tape.